As you can probably imagine, as the go-to location for a bail bondsman on Oahu, the team at Wanna Get Out Bail Bonds has encountered a number of different unique scenarios. It’s not something people think about particularly often, but the truth of the matter is that people who visit our island from other parts of country can sometimes get into trouble. In the best instances, everyone is able to walk away with a…let’s say “unique…memory from their trip to Oahu. Under other circumstances, those people end up in jail and in need of a bail bond agency. The good news is that either way, we’re here to help in your time of need! Having said that, we’d like to suggest a few of the best things to do on Oahu to keep yourself out of trouble. After all, just because we can help you if you get arrested doesn’t mean we want you to get arrested in the first place. That’s why in today’s post, we’ll share a few of our favorite places to visit. Keep reading to learn more! They also have a goal of celebrating local history and offering new and exciting exhibits. As of the time of this writing, there are exhibits exploring the legacy of eight generations in Hawai’i, the history of dinosaurs on the island, and more! In short, not matter what you’re interested in, you are sure to find that Bishop Museum offers you a unique view of culture in our neck of the woods. You’ll be greeted by a friendly staff who is focused on making your experience here as pleasant as possible (making it easier for you to stay out of trouble!). When you chose to visit Hawai’i, there’s a good chance that a large part of the appeal was in enjoying nature. What better way to do that than by enjoying nice areas of lush green while being surrounded by a beautiful blue piece of water? Trust us when we say that your experience in snorkeling here will be wonderful and beautiful. If you’re looking for a relaxing snorkeling experience that will leave you with amazing images that you will never forget, this is the place to visit. If you’re looking for somewhere to eat on Hawai’i’s third largest island, Side Street Inn is hard to beat! With two locations to choose from in Honolulu, you’ll be treated to some of the best food in the state. You could probably even plan a trip around the idea that you wanted to eat as much amazing food as you could on Oahu and you’d be busy the entire time! Although there are a number of amazing restaurants to choose from on Oahu, we believe that this is one of the best. Trust us when we say that this is one restaurant that is absolutely not to be missed while you are visiting. 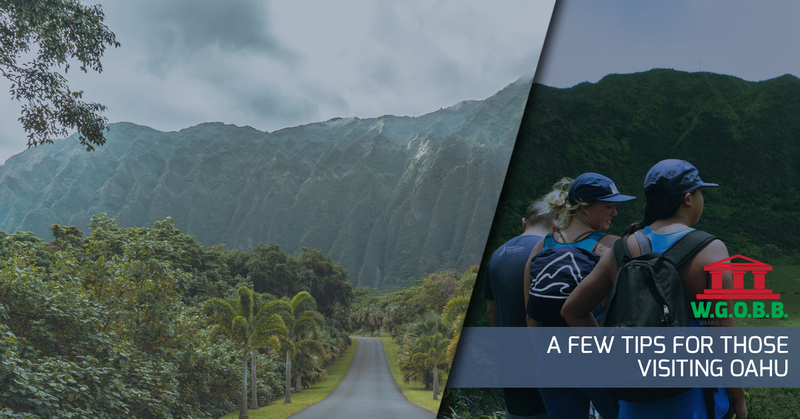 With so much to see and do on Oahu, you’re sure to be able to plan a trip that you’ll remember for a lifetime. There’s a lot to love about Oahu and Honolulu is particularly wonderful. Wherever you decide to go and wherever your journey takes you, we truly believe that your trip here will be among the best you ever take. With breathtaking sites, friendly people to chat with, and incredible food along the way, it’s hard to beat what you’ll get when you visit our neck of the woods.